Last week’s field jacket roundup addressed primarily cotton field jackets, omitting some other massively influential categories of military outerwear–today we’ll look at U.S. military leather jackets. These jackets are sort of the culture to the field jackets’ counterculture; they were and are expensive items designed and manufactured for airmen operating in the demanding conditions of early aircraft, which were short on creature comforts. The primary source of the badass, Brando school of leather jacket is motorcycle culture rather than the military. The A-1 flying jacket is the original pilot’s leather jacket. The Army Air Forces spec’d it in olive/brown capeskin (lambskin; lighter weight than many leathers), and finished the jacket with knit woolen fabric at the collar, cuffs, and hem; it buttoned closed and has buttons on both the collar and hem (casually, it’s most often worn collar up, with a couple buttons undone at the neck and hem). The A-1 was only used for a few years before being replaced by the more familiar A-2, and finding vintage versions of the A-1 is virtually impossible; the supply is too low and the demand too great. 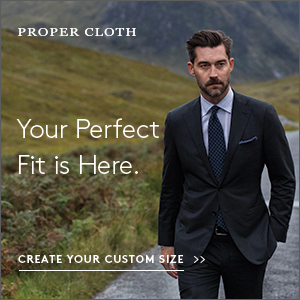 It was cut a little slimmer than later leathers; although modern versions are flattering on a lot of people, it looks best on the fairly slim. 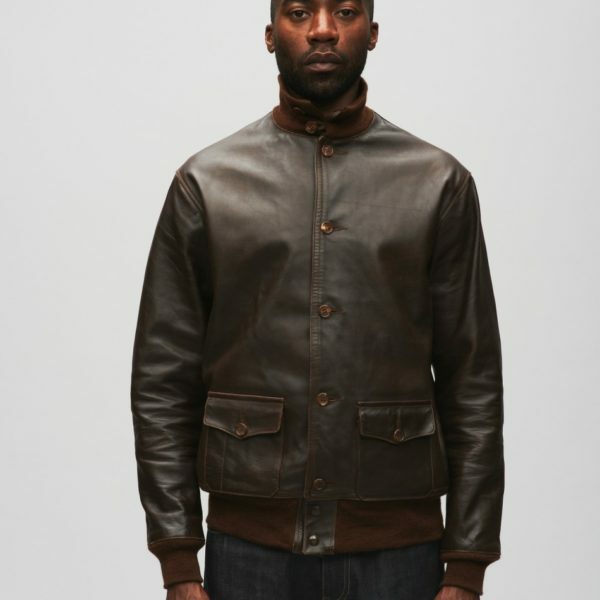 Maybe because it’s not as ubiquitous as subsequent military issue leathers, it seems more refined, and in recent years A-1-inspired jackets in suede, like this one from Temple of Jawnz/John Coppidge have gotten a lot of attention. With no vintage market and no large-volume manufacturer of reproductions, a good A-1 doesn’t come cheap. 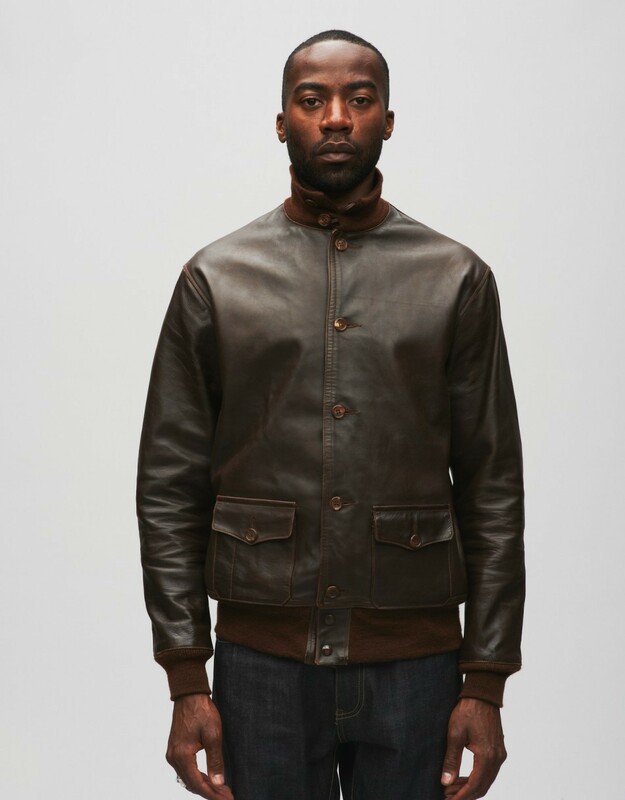 True-to-spec capeskin repros are available from Eastman Leathers in the UK (pictured is a jacket Eastman made for YMC), and Hickorees just released a beautiful two-tone horsehide version. You can also keep an eye out for similarly styled blouson jackets from Valstar, which at least cost hundreds rather than thousands of dollars. The A-2 was the U.S. fighter pilots’ jacket of World War II. Thousands were issued, and there are many, many A-2 jackets out there, both vintage military, vintage civilian use, and new. The jacket’s design eliminates the buttons and knit collar of the A-1 in favor of a shirt-style leather collar and zip closure covered by a storm flap. 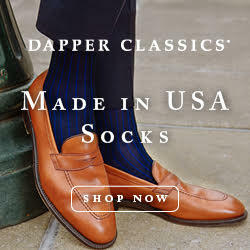 There are passants on the shoulders and knit trim at the cuffs and hem. Most vintage A-2 jackets are very dark brown, and different contractors made them from different hides, mostly horse or goat. The A-2 is one of few clothing items that can legitimately be called iconic; for many it is the leather jacket. Although the A-2 looks great on most men regardless of age or fitness, a good deal of reproduction or imitation jackets, especially from the 1980s, are cut large and will be baggy on thinner guys, so be wary of tagged sizing on any used/vintage jackets. Old vintage A-2s actually run small. By virtue of its popularity, the A-2 is also so unobjectionable, it can border on boring; but a well-cut A-2 is a great entry point into leather jackets. Pictured is a version from Good Wear, which reproduces jackets down to the details of specific WWII contractors’ specs, which varied a lot. Schott, which made A-2s during WWII, has a solid version in its Perfecto line (not all Schott A-2s are made to this standard). The G-1 started as the Navy version of the Army A-2, but while the Army version sometimes includes a detachable fur collar, the mouton (sheepskin) collar is standard on the G-1. The G-1 also omits passants and the storm flap and features button-through pockets rather than snap pockets. Particularly since its starring role in Top Gun, The G-1 is one of the most commonly reproduced jackets on the market, so there are many G-1-style jackets out there. Likewise, the jacket has had a long military service history with many contractors, so details can vary some from jacket to jacket. The originals and many current civilian versions use genuine sheepskin for the collar, but many if not most use synthetic fur. 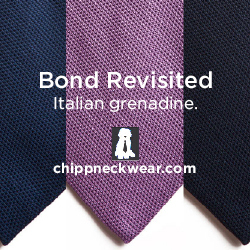 Vintage models abound, and new civilian versions are available from Alpha and Schott, with widely varying specs (look at the collar on that Schott). Beware patched, plasticky-leather versions from the immediate post-Maverick-and-Goose era. Personally, I prefer the G-1’s furriness to the A-2’s minimalism, but taste in leather jackets is subjective; many people favor motorcycle-derived leather jackets to these military versions. 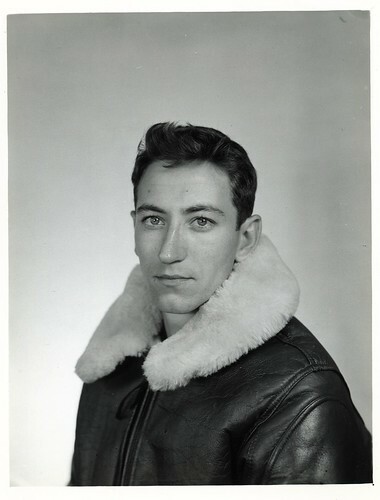 Although all of these are indeed flight jackets, most of them were too lightweight for cockpit-wear at the high altitudes, and in fact both the A-1 and A-2 specs refer to them as summer jackets. Heavy, unshorn sheepskin jackets were designed to keep B-17 and fighter pilots warm in unpressurized aircraft flying at altitude over Europe. The B-3 and ANJ-4 were sometimes even worn over A-2s for maximum warmth. These jackets were expensive to make and were phased out in favor of cloth, pile-lined jackets after World War II. Sheepskin jackets are bulkier and a little longer than the lighter weight jackets, and their heavyweight sheepskin will keep someone on the ground warm in almost any climate. Originals verge on impractical; B-3s have for instance just one pocket. The relative luxury of the materials means you still see high-end designer takes on the B-3 and its British equivalent, the dashing Irvin jacket; Burberry recently made exaggerated versions. For less interpretative versions, you’re looking at the usual suspects: Eastman, Schott, and Alpha.